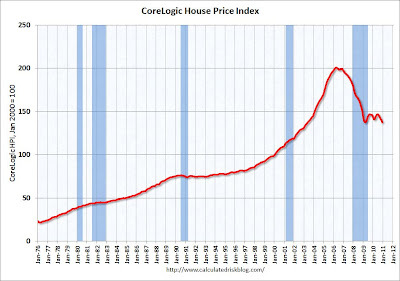 Core Logic's home price index was released this morning and showed a month over month drop of 1.8% for the month of December. This is the fifth straight month of declines and the index has now reached post bubble peak lows. 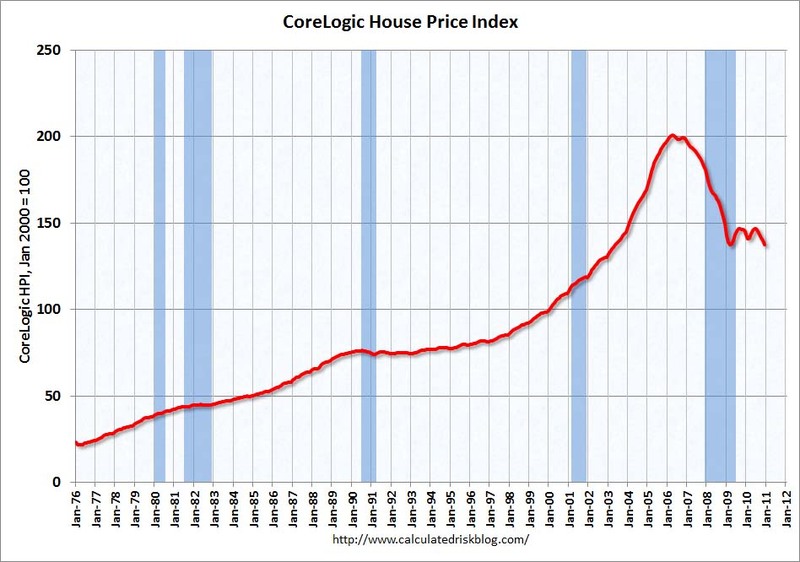 Look out below for the housing market.